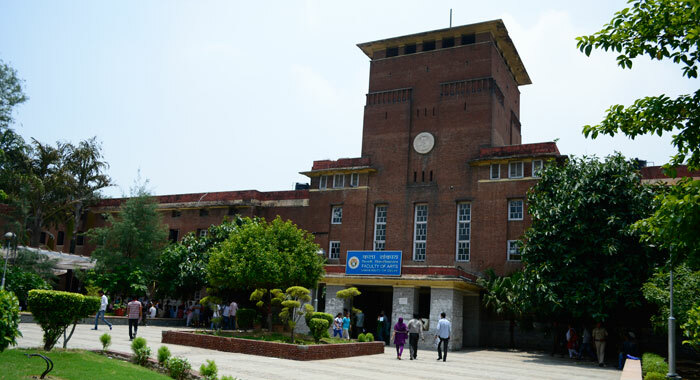 Reservations for locals in Delhi University- Discussions on a wrong track! Reservations for locals in Delhi University- Discussions on a wrong track! Reservations for locals in Delhi University- Discussions on a wrong track! The debate on reserving a certain percentage of seats in state-funded colleges affiliated to Delhi University has sparked a range of opinions. The opposition to the move has taken three forms A) Delhi University is a central university, so reservations are not possible B) It will increase the number of seats available to Delhi locals C)Reservations would change the national character of the university. and it would promote parochialism. Let’s examine these three positions in detail. This statement has very little validity. JIPMER, Pondicherry is a centrally-funded Institution of national importance. But has about 40 seats reserved for Pondicherry locals. For quite some time, affiliated colleges of central universities have practiced institutional and domicile-based reservations. Delhi University’s own Netaji Subash Institute of Technology reserves 85% of the seats for Delhi students ( Source link ). Pondicherry Engineering College, affiliated to Pondicherry University, reserves a certain percentage of seats to residents of Pondicherry ( Source link ). Most PG colleges affiliated to HNB Garhwal University, Srinagar too have domicile-based reservations. Nationally, central universities such as BBAU, Lucknow; Nagaland; Mizoram and NEHU provide 50% reservations to SC/STs alone. In fact a five-member bench of the Supreme Court in the case, Saurabh Chaudri & Ors vs. Union Of India & Ors on 4 November, 2003 ( Source link ) concluded that both institutional and domicile-based reservations are not unconstitutional. Though the same judgment makes a larger plea for a national blueprint for higher education, no political party has ever cared to bother. Looks like AAP is also getting into the same grove. In the first place the numbers appear to be all over the place. The Ministry of HRD figures say Delhi has about 2.2 lakh students enrolled ( Source link ). The Delhi government’s own result analysis says in 2013 about 139,003 students passed out in 10+2 ( Source link ). Add another 30,000 from open schooling; we have about 1.69 lakhs students seeking admission from Delhi. This is far from the 2.75-lakh figures Mr. Sisodia is quoting, unless he has a dataset, which is not public. Till 2006, the cumulative annual intake through 66 constituent colleges and 56 PG departments (approx 10,000) was 48,500. After the proposal of increasing the intake by 57% to accommodate the 54% reservation in OBC category, it could be presumed that the intake would be anywhere close to 75,000. If one adds the IPU the annual intake, which is close to 16,000+ and another 10,000 seats in professional colleges in Delhi the situation in Delhi is not as bad in comparison to other states. More over, reserving 12,000 seats out of the 75,000+ plus on offer may not do much materially for the prospects of Delhi students. According to unverified expert’s opinion the 12 colleges in which the government might reserve seats already have over 60-70% students from Delhi. So there would be at best a 20-30% change in the student-composition for these colleges. In other words they already cater predominantly to Delhiites. But this needs substantiation. What the reservation might do is to slightly reduce the cut-offs by a few percentage points in these colleges for Delhi students. And this may help another 3000-5000 more Delhi-domicile students to get into DU colleges. a) In you have studied for at least five years in an institution within the state. e) They were working in a PSU in the state for five or more years. Considering the fact the Delhi has a huge government service class, sons of the soil (in the true sense) might be relatively less in case of Delhi. More over Delhi has interpreted domicile only based on the institution last studied (See Ambedkar University’s admission brochure here. So all that Manish Sisodia’s effort would achieve is that more desperate parents would attempt bring their wards to study in Delhi Schools. Yet another factor is that, of the 85 affiliated colleges, not more than 12 would be badly affected. So the overall character of the university might not change. And any way the admissions are restricted to affiliated colleges. University colleges and departments would continue to have a pan-India character. The prime question we must ask is; is this good direction for Aam Aadmi Party to take? One has so far considered AAP to be a torchbearer of a new idea of India, rightly or wrongly. That is why the parochialism entrenched in the domicile-based reservation, when it comes from AAP, sounds galling and elicits a very strong counter reaction. India’s higher education is in a mess, and needs strong course corrections. There are issues of excellence, access and equity. All three need urgent attention, and thorough thinking. Policy alternatives have to be thought through and implemented. Manish Sisodia made lot of good noises about affiliations, university approvals and finances. Falling back on reservations without adequate data is the worst way to begin the cleaning up. DU will not suffer much if domicile-based reservation is implemented. Delhi students will definitely gain a few thousand more seats. But AAP would lose one more opportunity to be an alternative, if it does not think through this issue. And that is the true tragedy.